So where do we find real people? We find them in our community, in business relationships, within hobby groups and organizations. We find them through friends and at work. Santa, as we are aware, never really came down the chimney, WHAT A SHOCK for Ladyjustice, who was born on Christmas Eve! 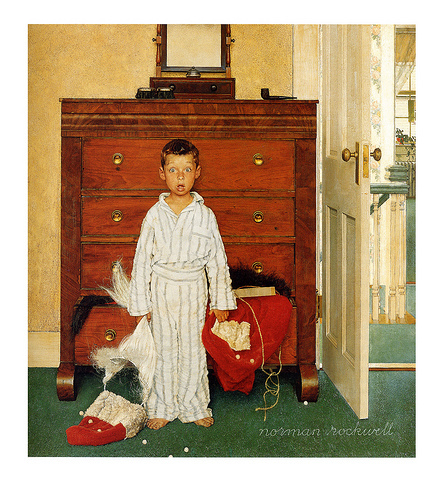 All those little 8 year olds learning the truth, as Norman Rockwell so aptly portrayed it! LJ’s Christmas list – to see the real people soon…. 1) Shirl, a good friend of LJ’s of more than 25 years, just quit her job to explore her options and future plans after some family losses. She has an adventurous spirit, like LJ, and is off to California, Australia and South Carolina for three months. It will be good to see Shirl again. She is a REAL PERSON! 2) Ladyjustice has been chasing phone calls and e-mails to her best buddy in California, Rosie. She is a stellar Director of the Imperial Valley Upward Bound Program. It was nearly 2 ½ years ago when LJ was dropped of at the ferry at Coronado Island; had the pleasure to experience her wonderful program and students. Occasional phone calls are not enough. Rosie is the oldest of 11 children in her family. She is a REAL PERSON! CAN’T WAIT TO SEE HER AGAIN! 3) “The Brains of Imagine Publicity,” Ms. Delilah ,has been a lifesaver to Ladyjustice. LJ has shared her whole life in an effort to re-invent her dreams and career aspirations. LJ has sought Delilah’s guidance, pestered her endlessly with ideas and millions of e-mails and calls. She knows more about LJ than her own mother! Ha! And yet, we have yet to meet in 14 months of intense association. Such a pleasure! CAN’T WAIT to finally meet this magician of promotions! Delilah is a friend and a REAL PERSON! 4) The Ultimate Survivor of Homicide and Intimate Partner Homicide- Susan Murphy Milano. She is a mentor; she’s someone with whom I have much in common. She believes in me… She’s a hard person to know at times… but very easy to care about. Ladyjustice CAN’T WAIT to meet her live and in person…after all of these months! SUSAN IS REAL… No doubt about that! 5) Monica Caison- Founder of the CUE Center for Missing Persons. Monica is REAL PEOPLE. She’s a diamond in the rough it seems , with a few sharp edges designed for digging for clues for those who go missing. Her heart and dedication is unmatched. Ladyjustice CAN’T WAIT to meet her someday… and maybe lend a hand in some way…. 6) Diane Fanning– True Crime and Fiction author; Saver of souls for the unjustly convicted! 7) Representative Gabrielle Giffords – Congresswoman and survivor of Mass Murder! 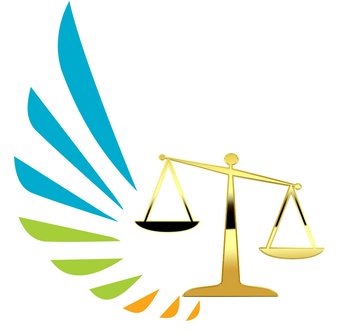 She’s a patient of many fine Rehabilitation Therapists- Ladyjustice’s former profession. She possesses an incredible inner strength and positive attitude. She beat the odds and survived the unsurvivable! SHE IS THE REAL DEAL! ‘CAN’T WAIT to meet her someday! 8) Denny and Faith Griffin – Don’t let that Private Investigator Mob Stuff scare you off! These two are the most fun and genuine people in the world! Ladyjustice CAN’T WAIT to see them again! They are the REAL DEAL… No Foolin’. I just CAN’T WAIT to be with the “REAL PEOPLE” of the world! Previous Pass the Salt …and Pepper Spray Please! Talin401: I appreciate your readership and interest! It is so important that we embrace real people (literally and figuratively) versus the “fakes.” My current list of REAL PEOPLE make life worth living! Hope you’ll continue with “Ladyjustice” and pass the word!